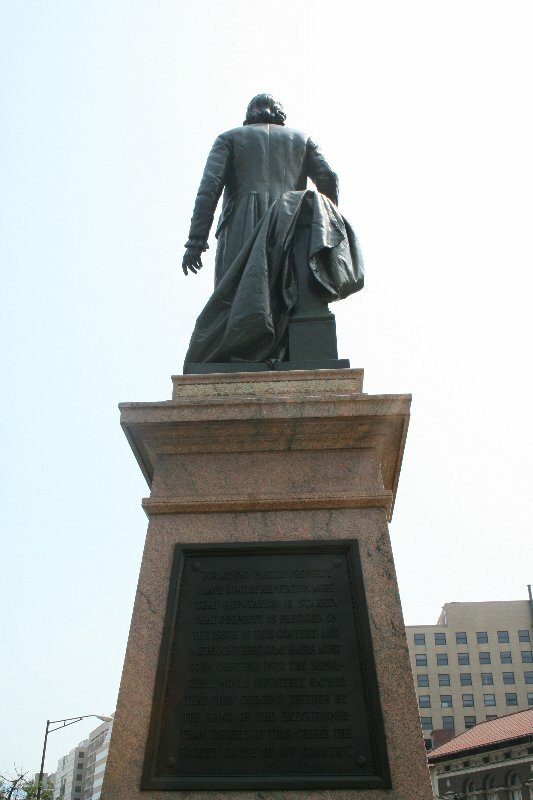 The John Witherspoon statue was approved in 1907 and in 1908 Congress appropriated $4,000 for the purchase of land and a pedestal for the statue. 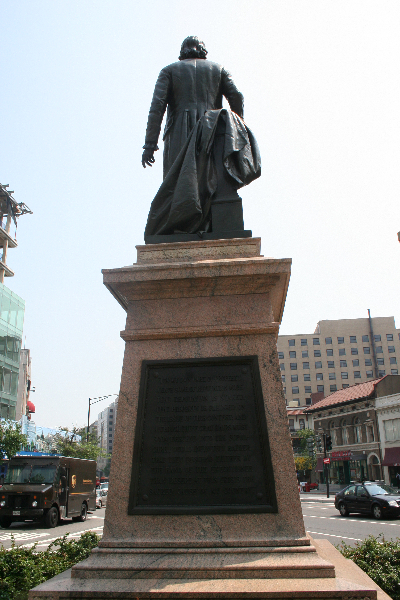 The statue was given to the District of Columbia by the Witherspoon Memorial Association. 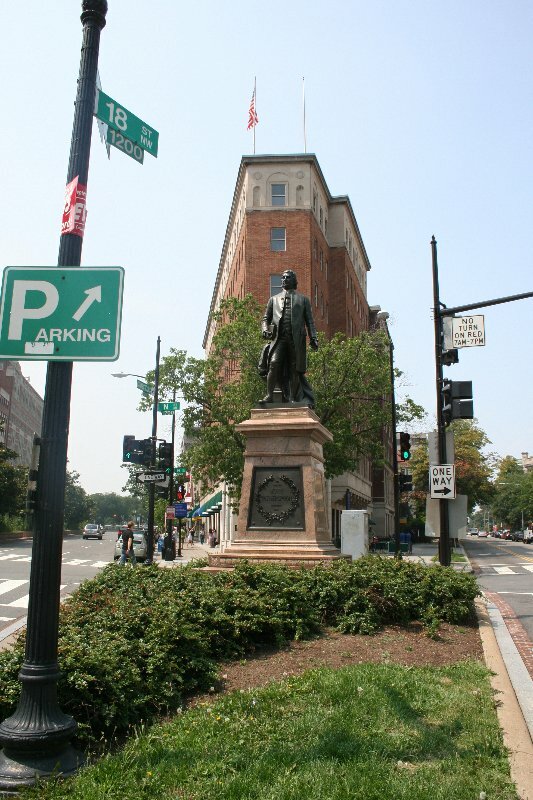 And the committee selected the triangle park at the intersection of Connecticut and 18th and N Streets, NW. The site of the memorial was considered particularly appropriate because it was opposite the Church of the Covenant, a Presbyterian church, and the Embassy of Great Britain – both organizations have since moved and the buildings have been torn down. 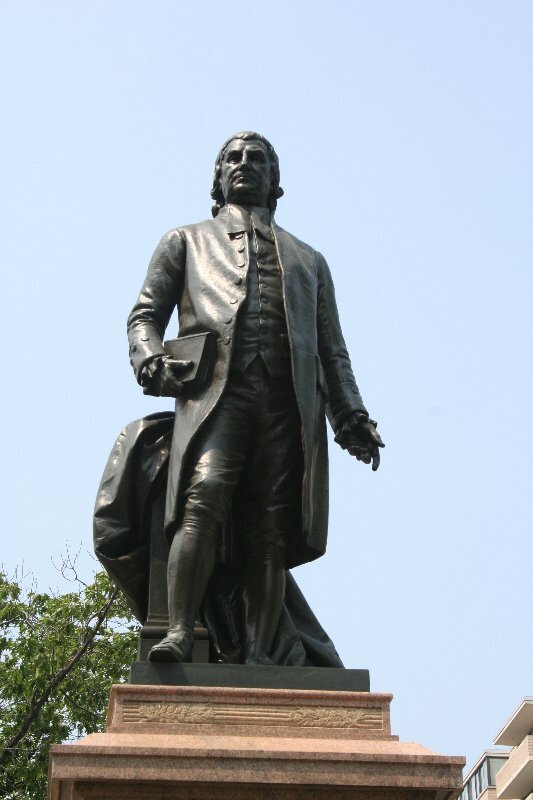 John Witherspoon was a Presbyterian minister and during his lifetime considered a reformer, statesman, scholar, political activist, confidant of George Washington. 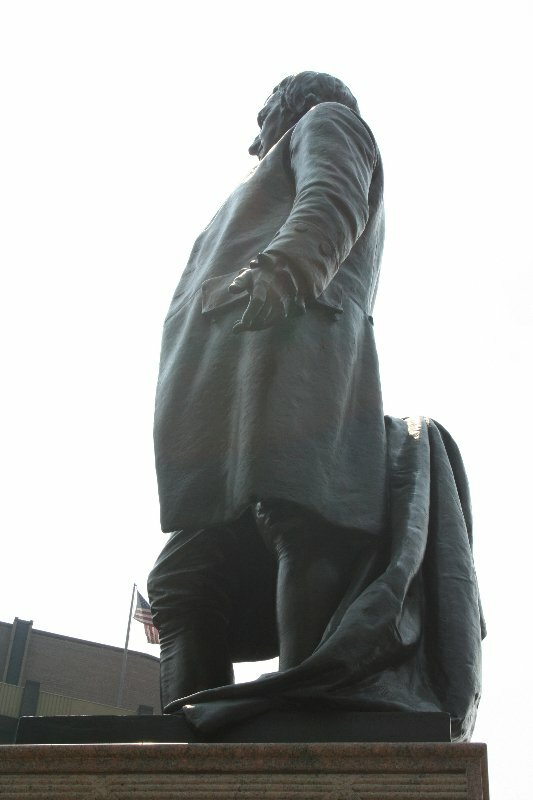 Plans for the Witherspoon statue were started by the Rev. 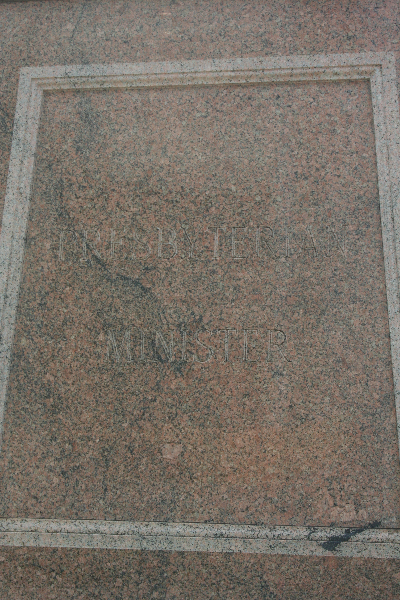 Teunis S. Hamlin, a pastor of the Church of the Covenant, which, in 1908, faced the plot on which the memorial to the clergyman, statesman, and patriot stands. John Witherspoon was born on February 5, 1722, at Gifford Scotland, graduated from the University of Edinburgh in 1742 and served as minister in Scotland from 1745 to 1768. In 1768 he moved to America and accepted an invitation to become president of Princeton College in New Jersey and held that position until his death in September 15, 1794. He taught divinity and served as its president and was also pastor of the Presbyterian Church at Princeton. 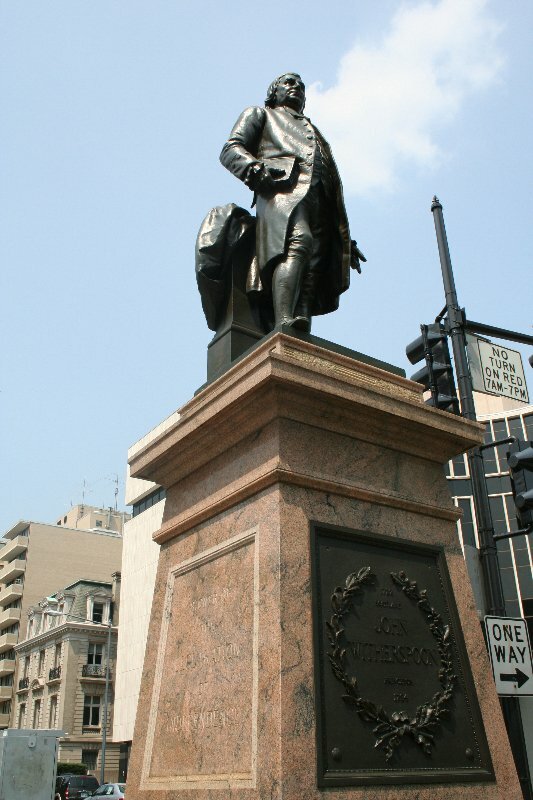 Witherspoon was a member of the Constitutional Convention of New Jersey in 1776 as well as a member of the Continental Congress. 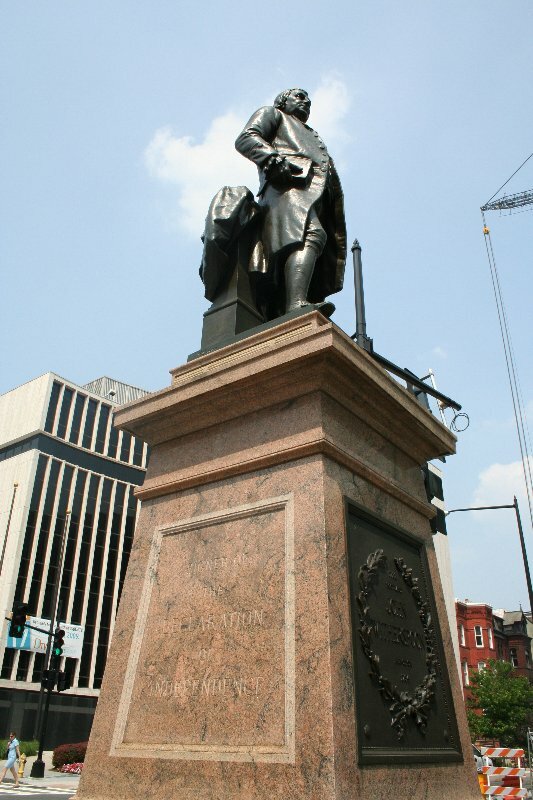 He advocated and signed the Declaration of Independence and the Articles of Confederation. During the Revolutionary War Princeton was closed and Witherspoon helped with various wartime causes and was considered a friend of George Washington’s. After the was Princeton College was reopened and Witherspoon continued to serve as president as well as lecturing. During the last two years of his life he was blind. 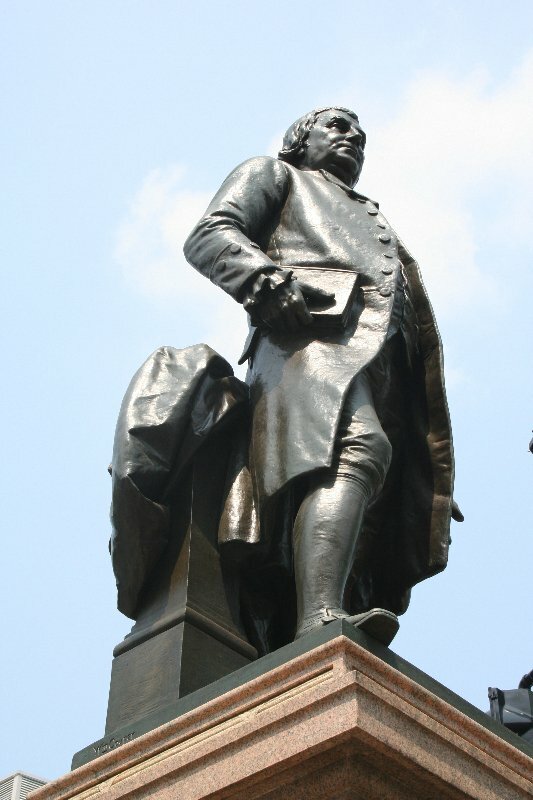 The statue shows Witherspoon with a book in his hand, making an address, and is placed on a huge block of granite. For my own part, of property I have some, of reputation more. That reputation is staked. 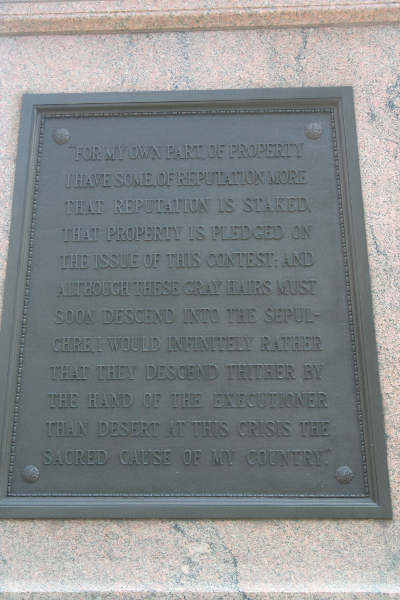 That property is pledged on the issue of this contest; and although these gray hairs must soon descend in the sepulcher, I would infinitely rather that they descend thither by the hand of the executioner than desert at this crisis the sacred cause of my country. For many years following the dedication of the statue every year on February 5 the congregation of the Church of the Covenant held ceremonies at the statue. The church was torn down in 1966 and the National Presbyterian Church was built as a replacement on Nebraska Avenue near Ward Circle. In 1976 there was a short-lived movement to relocate the statue to the suburbs.